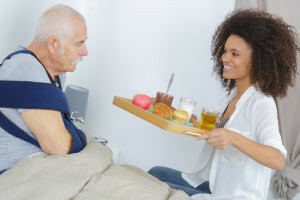 A healthy diet is fundamental in supporting the patient's healing and recovery process. This nursing course Nursing Studies - Diet Therapy provides the learner with an overview of the key elements in diet therapy. The course teaches you about the range of medical disorders requiring special dietary preparations to assist the healing process, correct an imbalance or supply necessary dietary nutrients when a pre-existing medical condition exits. You will also learn about the range of food combinations used in diet preparation to meet the needs of patients with diverse medical and recovery needs. The course also introduces the learner to the intrinsic and extrinsic factors impacting the patient’s diet. The range of lifestyle, cultural and religious factors influencing diet and diet choice are reviewed and the resulting health implications for the patient are outlined. This nursing course will be of great interest to all healthcare professionals who would like to learn more about advanced nursing practices and procedures in diet therapy for patient recovery. It will also be of interest to learners who are interested in a career in nursing. List factors which influence eating patterns. Create a specialised diet when given a list of the diet contents. Discuss how a therapeutic diet can support a patient's recovery and maintain a healthy body. Identify the role of the registered dietitian and their responsibility for the patient's nutritional care. Identify diets to meet patients' diverse medical and recovery needs. Cite a specialised diet when given a description of the diet contents. Identify the responsibilities of the practical nurse in relation to diet therapy. Identify factors which may alter a patient's food intake due to illness. Identify reasons that hospitalised patients are at risk of being malnourished.